Today we had another support group in which the parents and siblings were all together in one group for the activities. We began by checking in with parents on how they’d got on with their ‘homework’ from our last session. We’d challenged each parent to take 30 minutes for herself in which she does something that she enjoys, rather than something that she is doing for the benefit of her family. Despite telling us that they never take time to do something for themselves, our parents exceeded our expectations on this challenge! One parent had started taking time every day to focus on herself, and spent that time washing her hair and generally looking after herself. Another mother had gone to the shops that she wanted to visit rather than going to get things for her family. 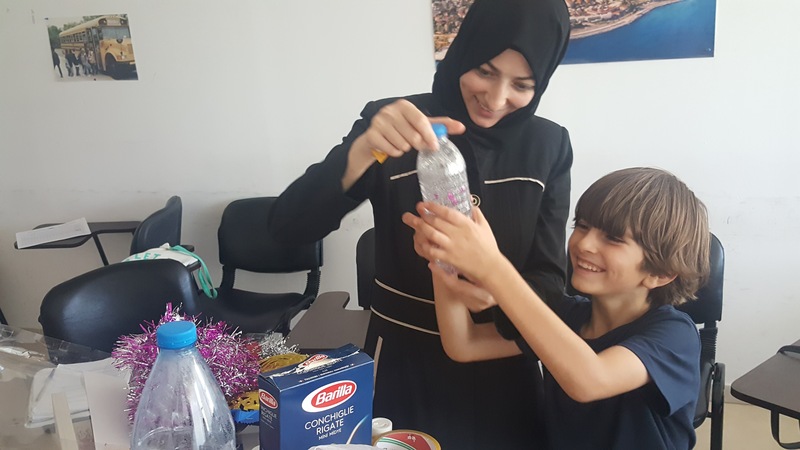 They were grateful that our challenge had given them a reason to find time for themselves and one parent commented “the more I take care of myself the more it will impact on how well I can take care of my family”. We then moved on to the focus of today’s session; being creative and taking time to play as a family. 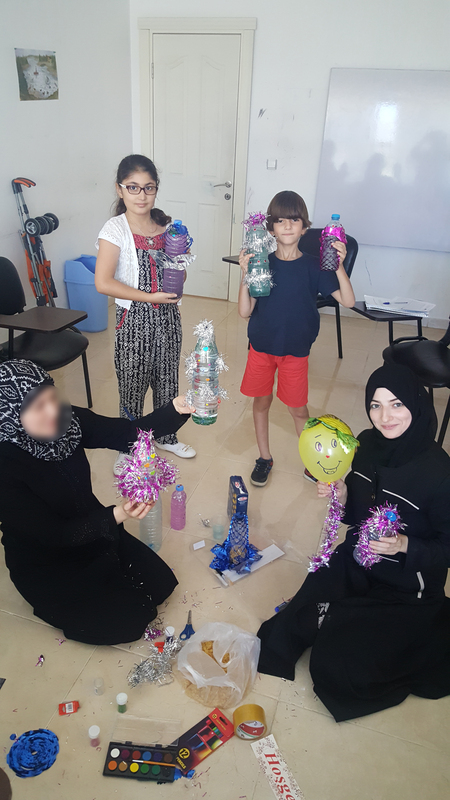 We gave the families some plastic bottles and some materials that they could get creative with (glitter, pens, tinsel and of course dry pasta). They used these things to design and make something that they could use in a game with their children at home. Some of the bottles were very visual with glitter that swirled around in the water when you shook it, and others were more auditory with pasta that rattled around inside. Everyone had a lot of fun making these and one parent told us “we really need this, we need this fun time together”. We’re looking forward to hearing how they get on playing with their new creations at home. Previous postBack To Training Today! Next postWhat More Could We Ask For?